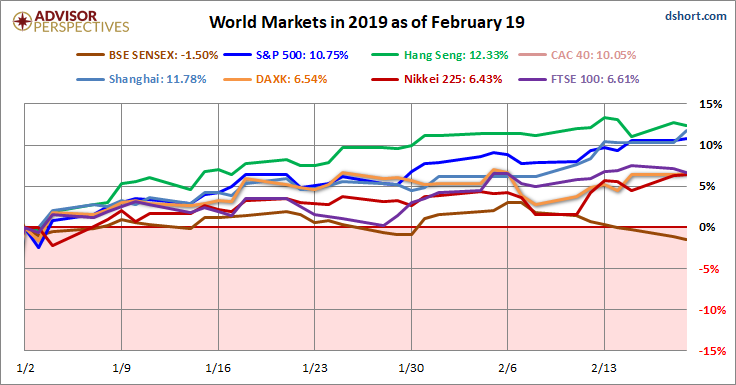 Seven out of eight indexes on our world watch list posted gains through February 19, 2019. 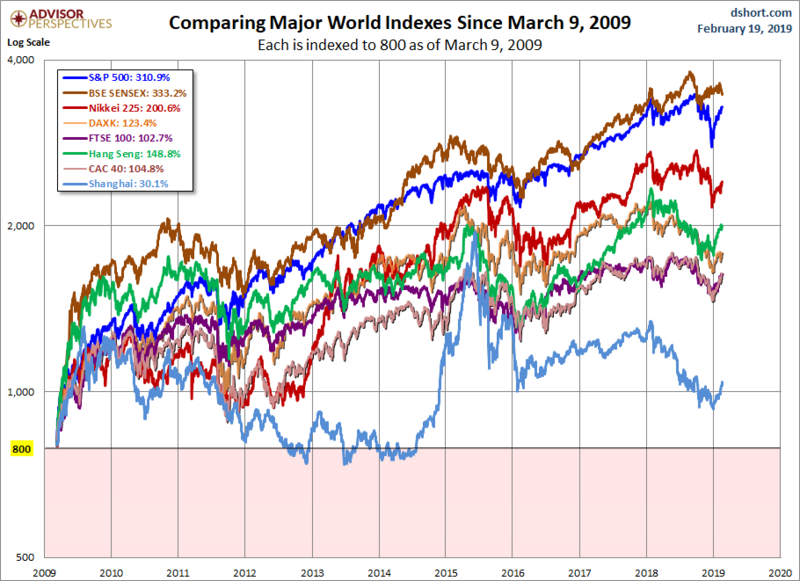 The top performer is Hong Kong's Hang Seng with a 12.33% gain and in second is the Shanghai SSE with a gain of 11.78%. 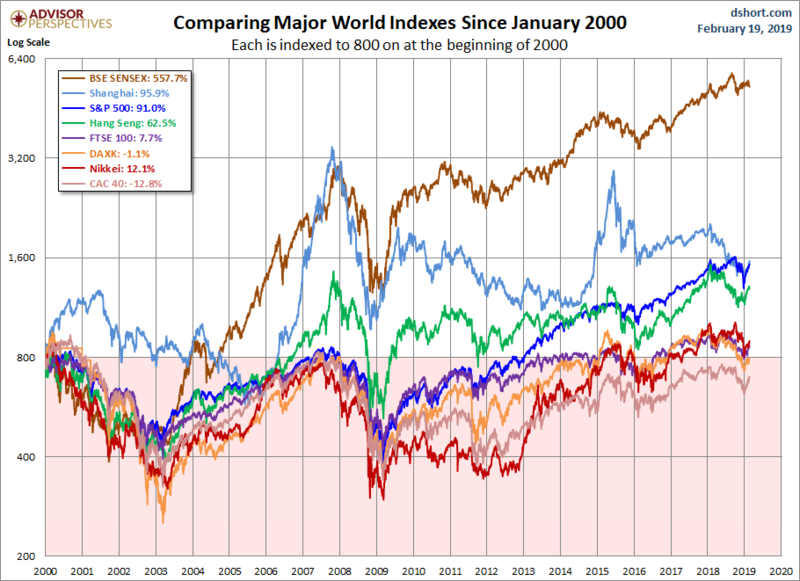 In third is our own S&P 500 with a gain of 7.65%. 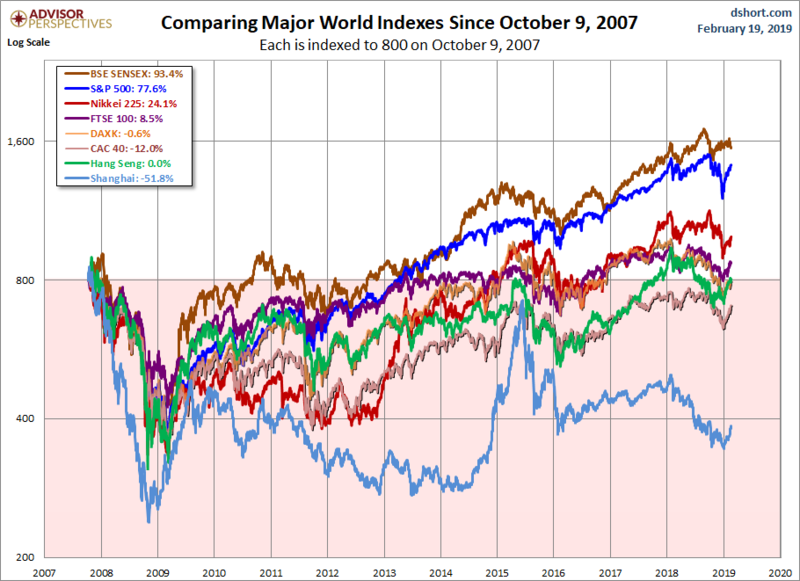 Coming in last is India's BSE SENSEX with a gain of 10.75%. 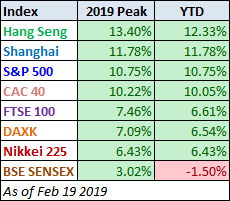 Here are all eight world indexes in 2019 and the associated table sorted by YTD.